Mixing prescription medications ended the life of a University of Oklahoma football player on May 19, 2011. Test results out in July 2011 report that 22-year-old linebacker Austin Box had five different prescription medications present in his system when he died. The mix of these drugs contributed to his death. Unfortunately, young people are increasingly choosing to use prescription medication for recreation with unfortunate consequences. Austin Box was not alone in his abuse of prescription drugs. 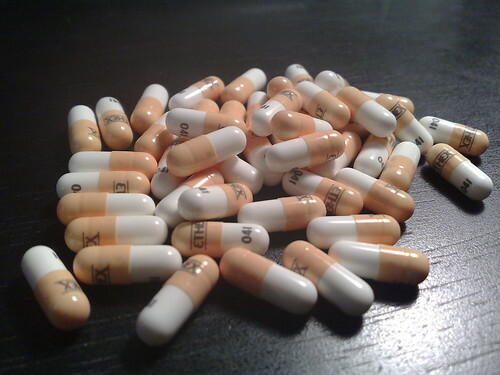 Prescription medication abuse has become more of a problem in recent years. The Substance Abuse and Mental Health Services Administration (SAMSA) reports a 20% increase in recreational use of prescription medication since 2002. This makes prescription drug use the largest growing drug problem in America. The increasing recreational use of prescription medication can lead to prescription drug addictions. Prescription drug use may be legitimate initially. Austin Box, for example, began using oxycodone for pain management after a football injury. However, users may build up a tolerance and want more medication than a physician will prescribe or than is safe to use. Commonly, drug abusers may buy drugs illegally or “doctor shop” at several physicians to obtain multiple prescriptions for the desired medication. Abuse of addictive pain medication is scary, but recreational use of prescription drugs is frightening. The growing popularity of “Pharm Parties”, parties where those attending bring and share scavenged prescriptions meds, result in many substance abuse-related hospitalizations. Because of the complex interactions of the various drugs, it is difficult to determine what side effects might occur. The risk of overdose increases with the use of multiple drugs. Mixing prescription medications with alcohol magnifies the problem even more. While the death of Austin Box is a tragedy, it is a wake-up call for many people addicted to prescription drugs. If your use of prescription drugs has grown out of control, it is time to seek help.